Gifted homeschooling is possible – and preferable. Here’s how to thrive when the classroom fails. High school English teachers aren’t homeschoolers. At least not until they discover the hell that is kindergarten. Despite years of experience in “gifted” education, I was green when it came to my own little poppies. My oldest daughter especially was a mystery, the kind of child who read The Wizard of Oz at five but melted at the slightest change in her routine. We enrolled her in school with cautious optimism, hoping for a year of social and academic success. She spent most of her time in the principal’s office and all but failed out by May. We were devastated. Confused. Why couldn’t our beautiful, brilliant daughter function in a classroom setting? Not once did anyone mention celebrating our daughter’s gifts. That’s when I realized we were heading for homeschool. I am the mother of a twice exceptional, a gifted child with sensory processing disorder. My husband and I didn’t know any of this when our daughter started school – we just knew she was smart, focused, and occasionally overwhelmed in social situations. 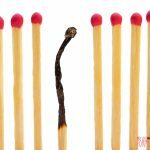 The kindergarten classroom’s rigid structure and social expectations meant we spent the year extinguishing fires the system reignited. While there were offers of assistance and “plans” for success, they only focused on assimilation into an overwhelming, unsuitable environment. I couldn’t face another year of that, and so we brought her home. In order to see why homeschooling is often a better option for gifted families, it helps to understand the definition of giftedness. Giftedness isn’t academic success or high motivation: it is wiring, the ability to process, synthesize, and evaluate information at a high rate of speed. They tend toward intense focus, frequently presenting heightened emotional and sensory sensitivities, asynchronous development, and twice exceptional characteristics. 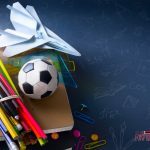 While the list of benefits in the chart above proves the intensely fascinating and rich interior life of a gifted child, it’s easy to see why these characteristics would be a drawback in the classroom. Educating a group of 25 children requires some level of conformity, and for good reason: in order to reach every student, a teacher needs the children to sit down, listen, and follow directions appropriately. A quick survey of the challenges above reveals the hard truth: at best, a gifted child will be out of place in the classroom. At worst, the gifted child will be disciplined or ignored. Gifted children’s abilities develop at different rates. For example, a gifted child who excels in math may struggle with learning to read. Additionally, gifted children’s social-emotional development does not occur at the same rate as their intellectual development. A first grader may read at a high school level but exhibit social behaviors more common in preschool. In a classroom environment, asynchronous development becomes quite the challenge. What do you do with a precocious poppy who has mastered the academic curriculum but can’t relate to her peers? What sort of pressure does it place on a student when teachers expect congruent mastery across the classroom board? 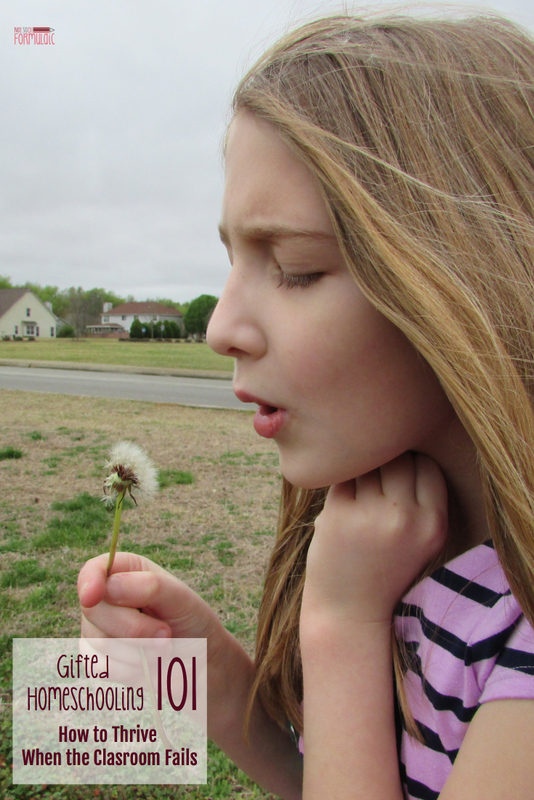 Given my own daughter’s experiences, twice exceptionality is an aspect of giftedness close to my heart. 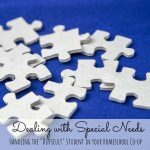 Children with autism spectrum and developmental disorders like ADD/ADHD are frequently labeled as behavior problems, while students with dyslexia, dysgraphia, and other learning challenges are labeled as slow and unmotivated. Twice Exceptional children frequently struggle in the classroom – not because of their intellectual gifts, but because of the perception of those around them. What if I can’t provide the right kind of challenge? What if I can’t teach certain subjects? 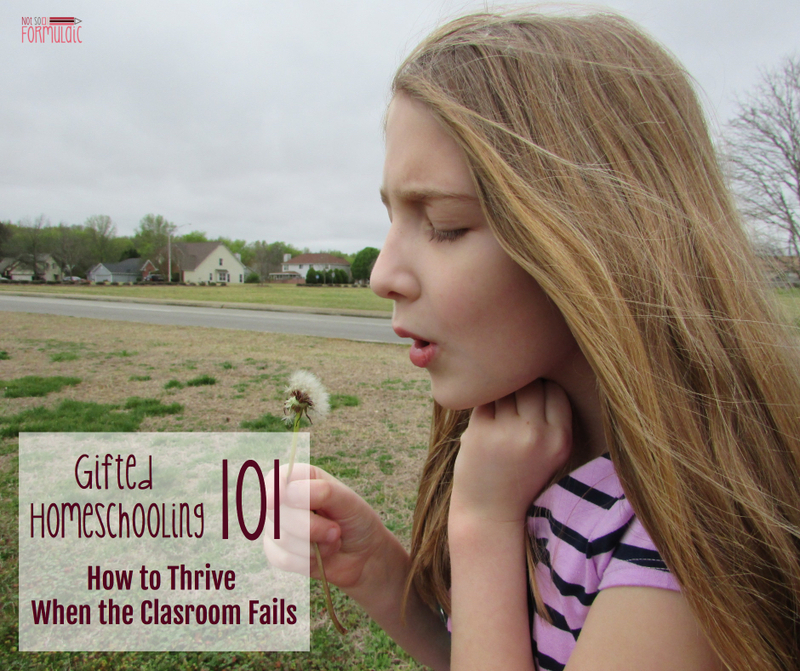 Homeschooling a gifted child is actually a lot easier than it seems. Homeschooling a gifted child isn’t as much about instruction as it is about guidance. Gifted children are naturally curious and have plenty of topics they love to explore. Try taking a step back and letting your children take the lead. You know how much autonomy they can handle, and they appreciate the freedom to spearhead their own learning. You don’t have to use a boxed curriculum; you don’t have to stick with one grade. You don’t even have to start where your latest assessment dictates. You have the freedom to choose when and were to start, based on the distinct needs of your gifted child. Love your child. Enjoy your child. Don’t let “school” get in the way of that. It’s true that I never anticipated being a homeschooler. But now that our fourth year is in the books, I can’t imagine any other way. My children are thriving – emotionally, academically, and socially. Home is our least restrictive environment. It’s the the key to authentic learning. Great description of how so many 2E or straight up gifted kids don’t fit in to the regular curriculum. I’m so happy to read this, my son fits all 5 areas of sensitivity listed. With the exception of one amazing teaching in kindergarten, and another who helped work with us through a trying 1st and second grade, my son has always struggled in school. We got called daily to pick him up from his Montesoori preschool because he wouldn’t nap, wouldn’t do the “works” they wanted him to and would destroy the classroom. It has been quite a journey up until now. We pulled him out part of the year in 2nd grade but had to put him back in school because we really weren’t ready for this challenge. Looking back, that was probably a mistake since we pulled him out again early in 3rd grade (this year) and haven’t looked back. He struggles with reading and can barely write, but can do complex math in his head and is a gifted athlete. Very science focused as well, researches for hours on the internet subjects he is interested in. 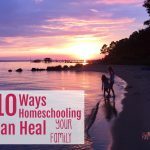 We are still figuring out the homeschool journey, but this article helped re-affirm the decision we made and why and gave me more confidence to continue forward. I’m so glad! Best of luck to you in your journey. Absolutely! It may go beautifully – in fact, I hope it does. Our 5th grader is the same way his grades are so bad but his testing in a quite room shows he is above grade level. They are passing him for that. He is getting suspended for behavior because he is so confused and is getting over welmed. He was taken out of gifted programs for not going his work when they changed the format. The green administration has no idea how to deal with his behavior. We are looking at online school for middle because it is only hoping to get worse.